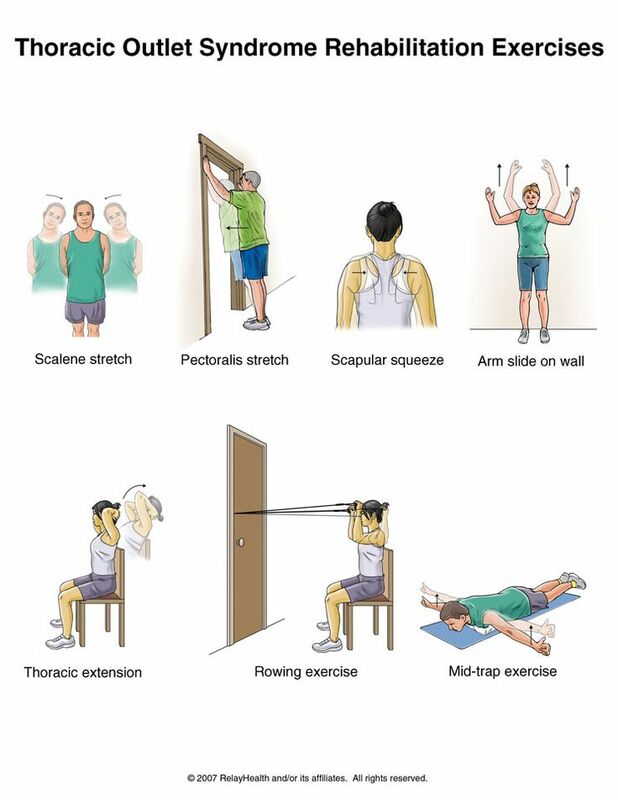 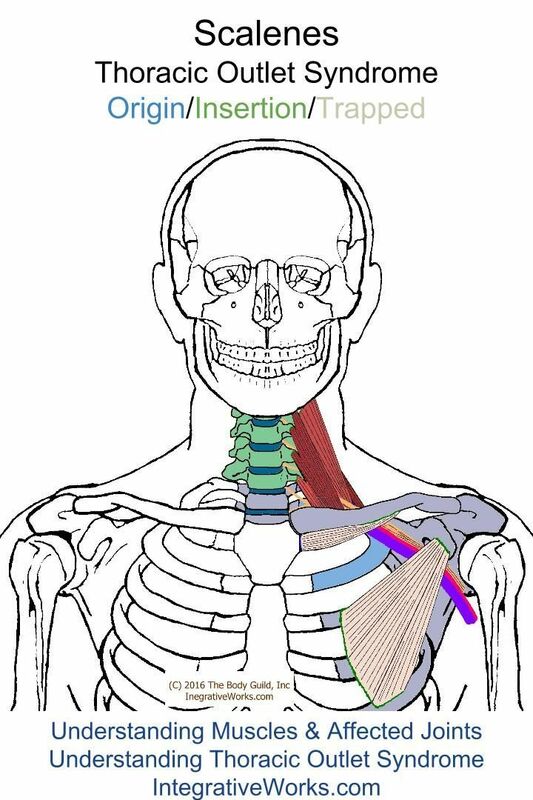 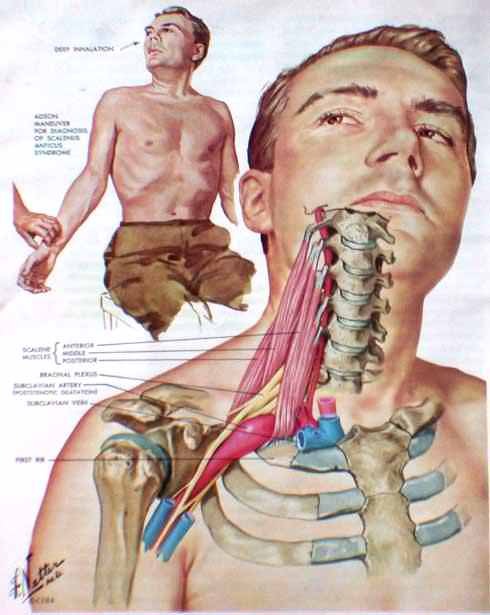 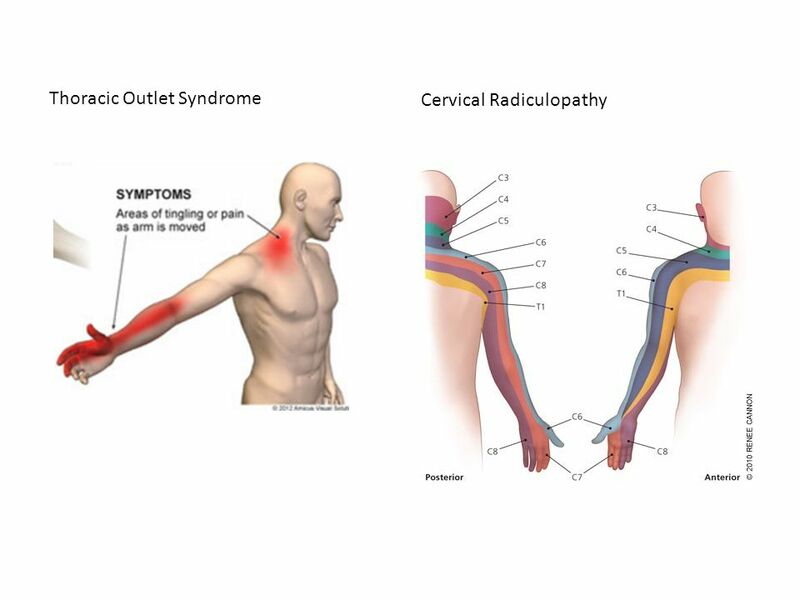 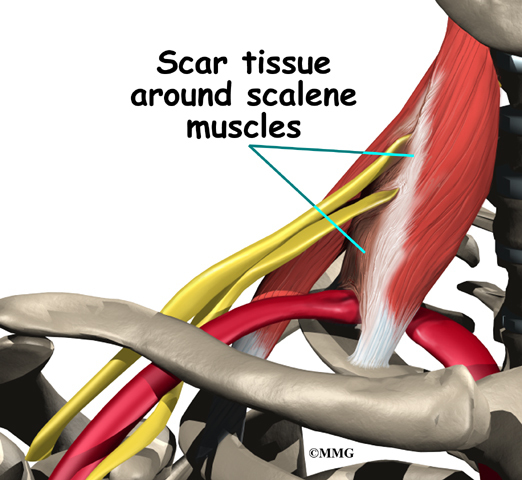 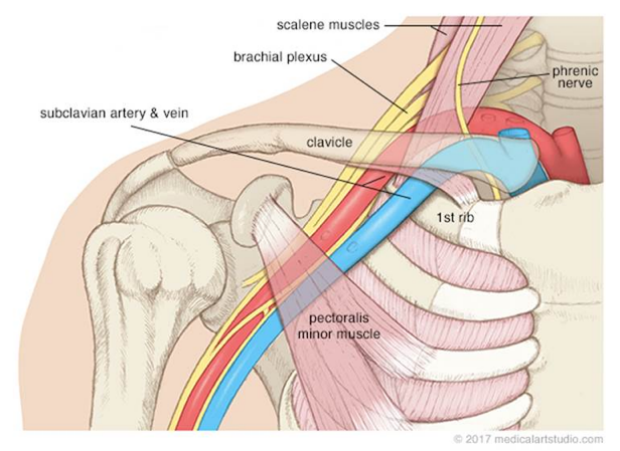 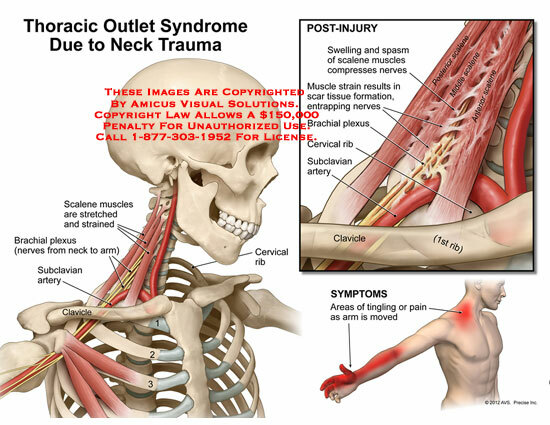 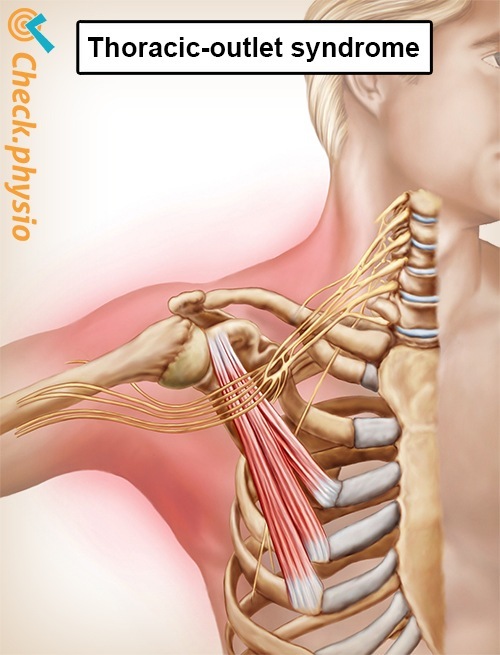 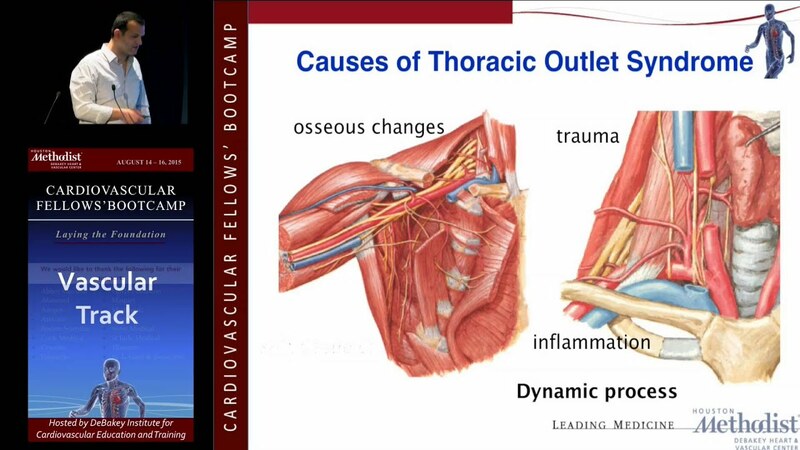 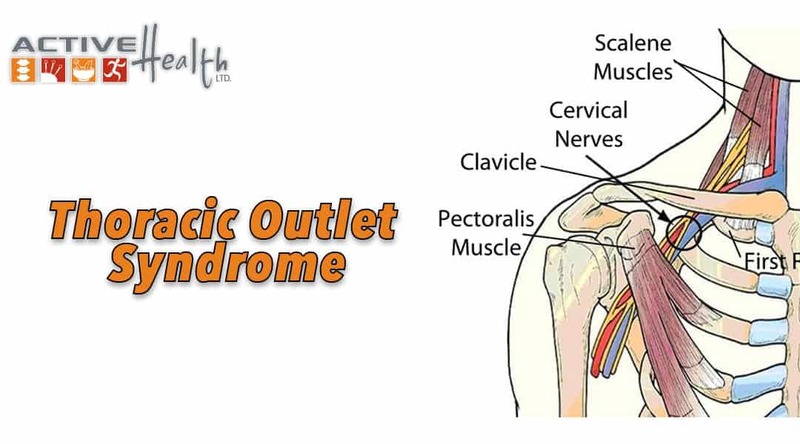 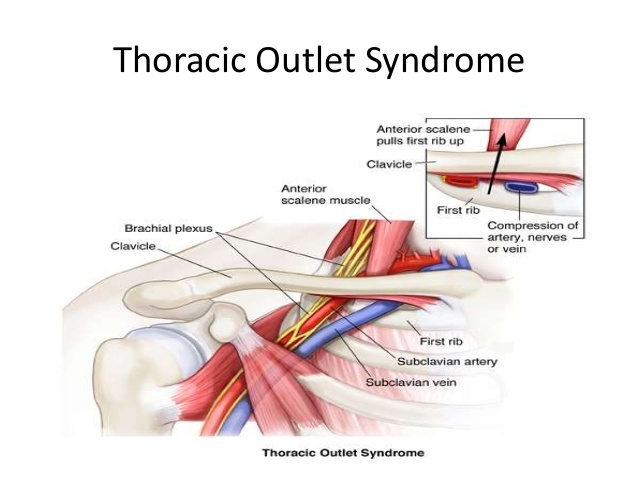 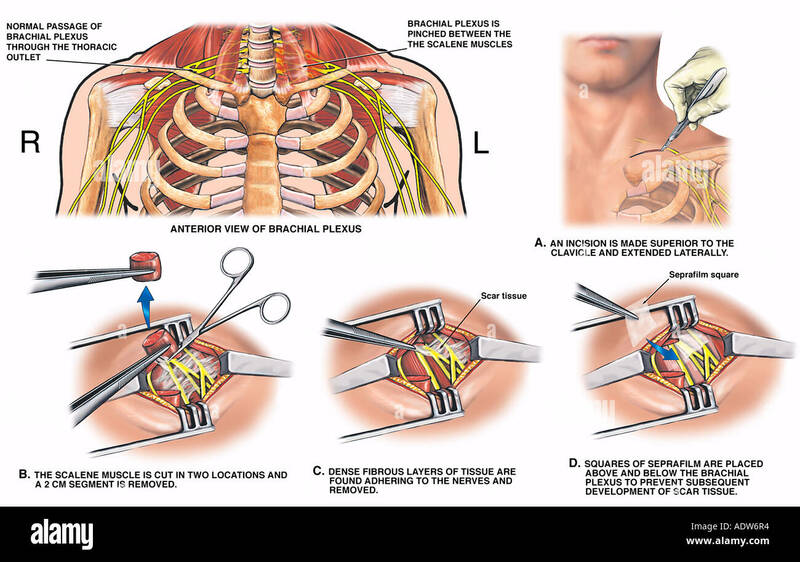 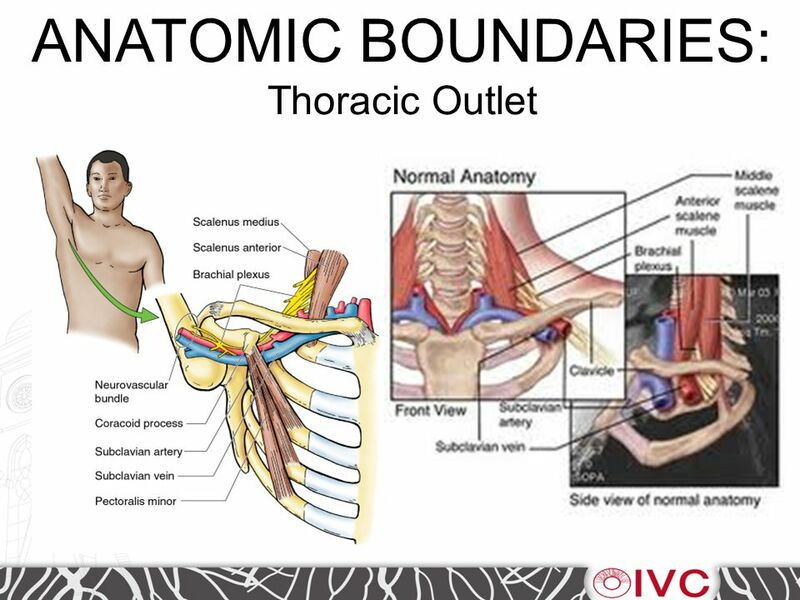 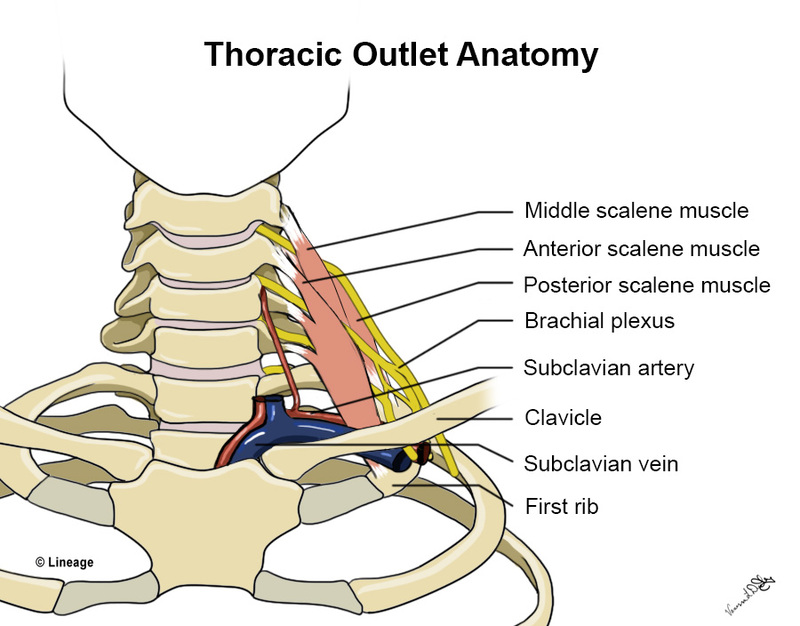 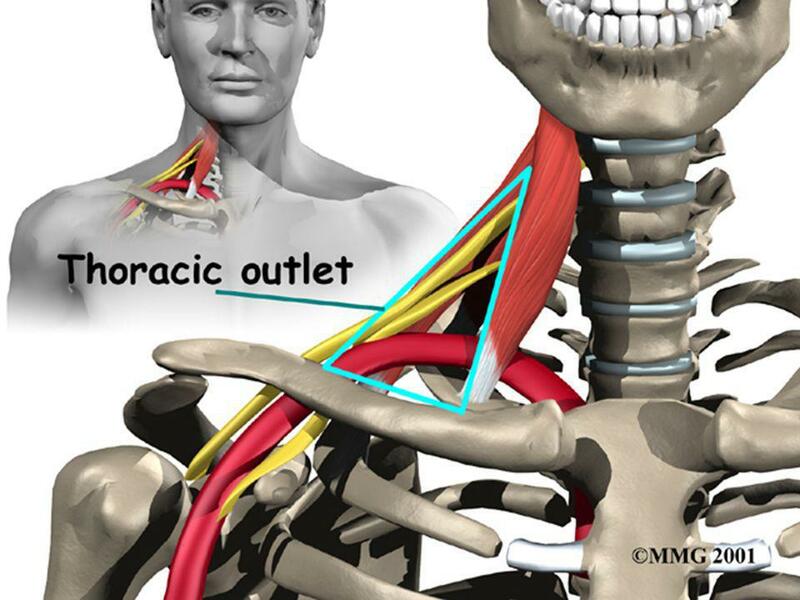 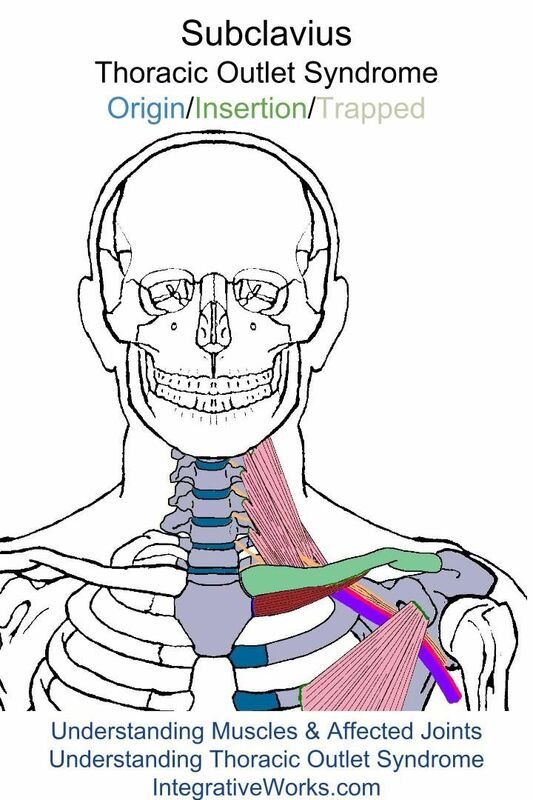 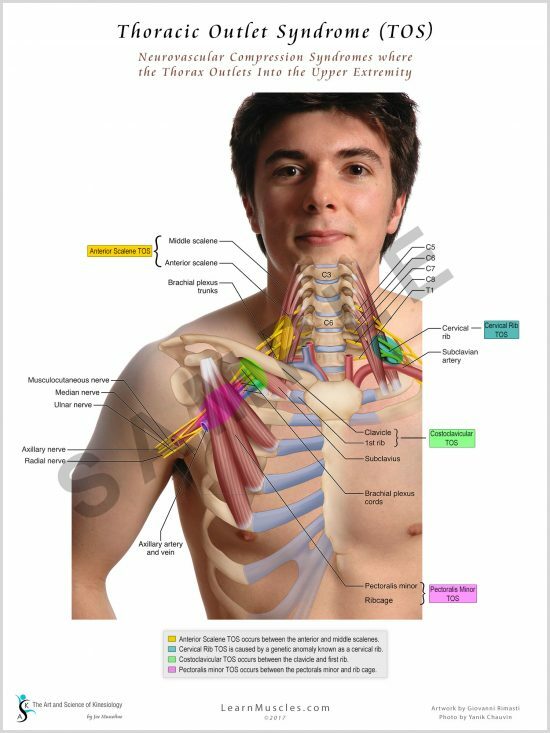 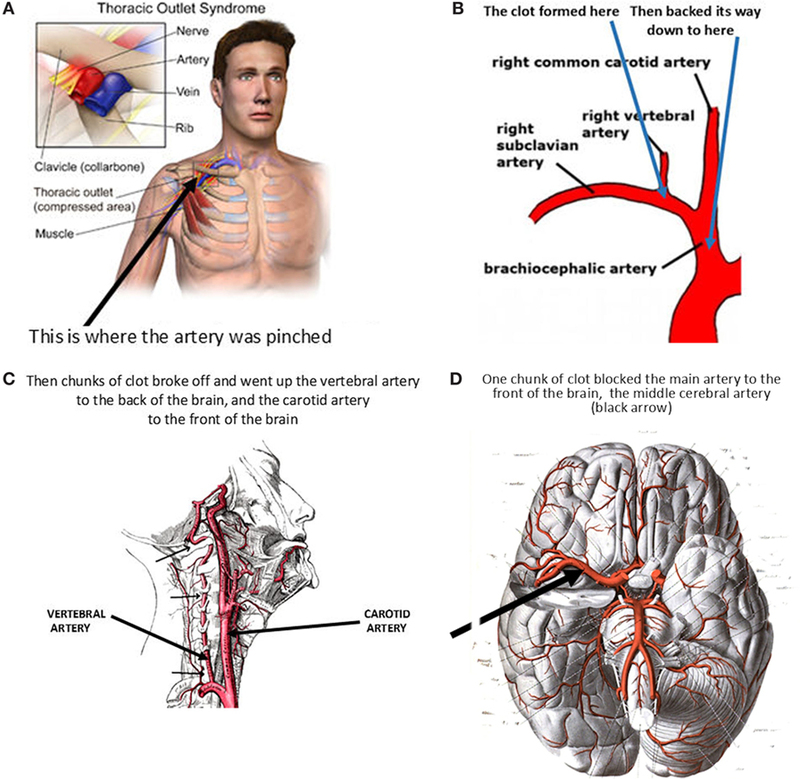 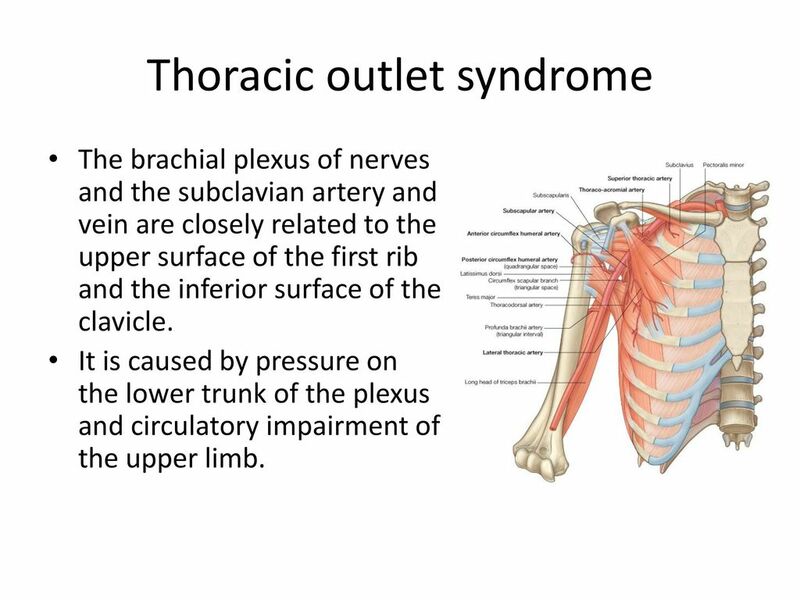 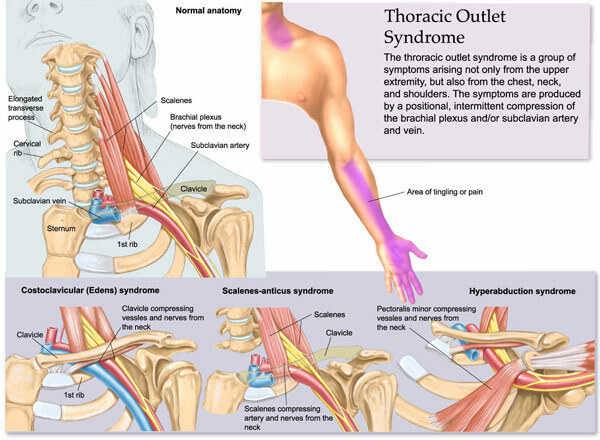 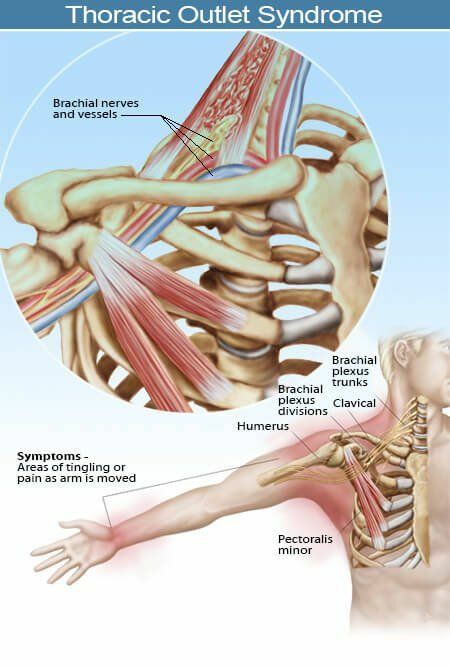 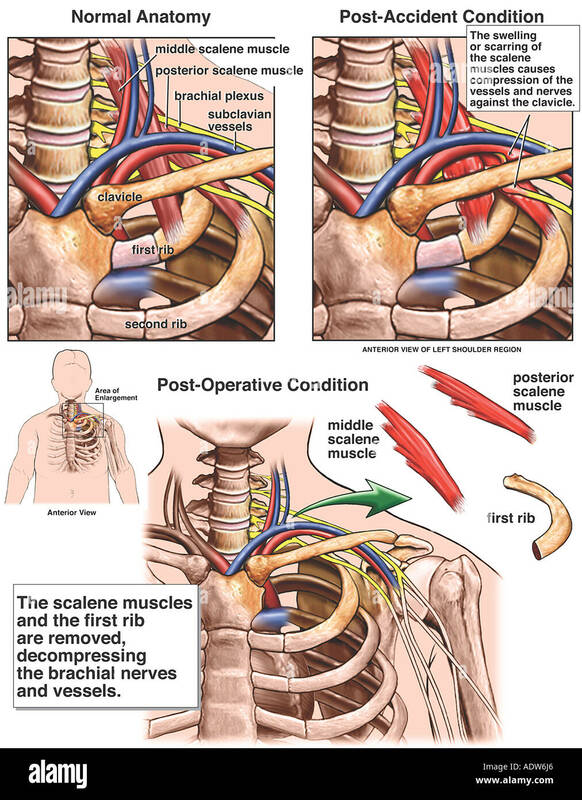 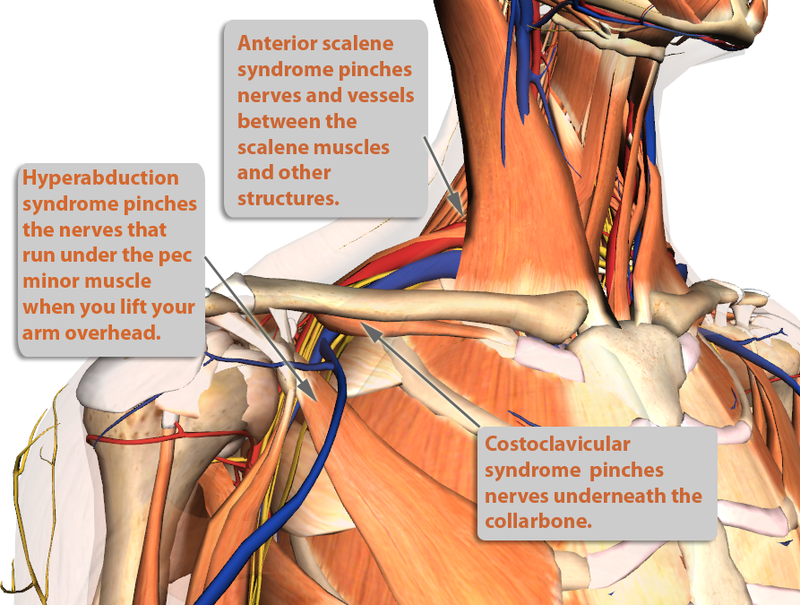 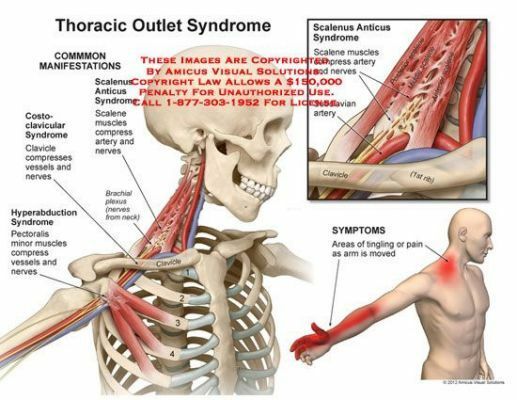 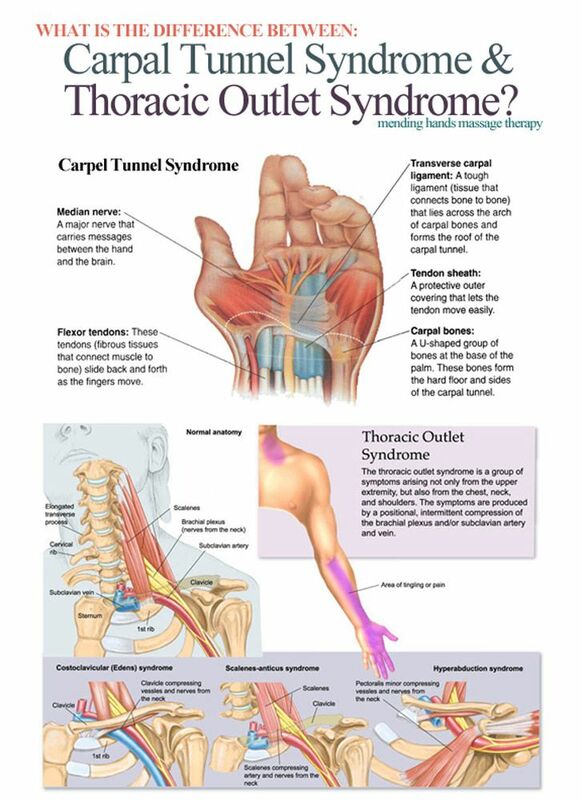 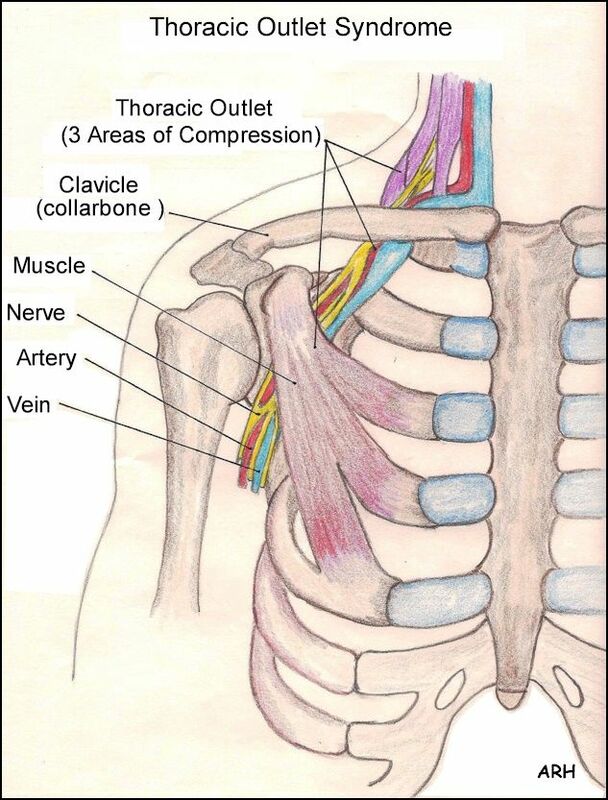 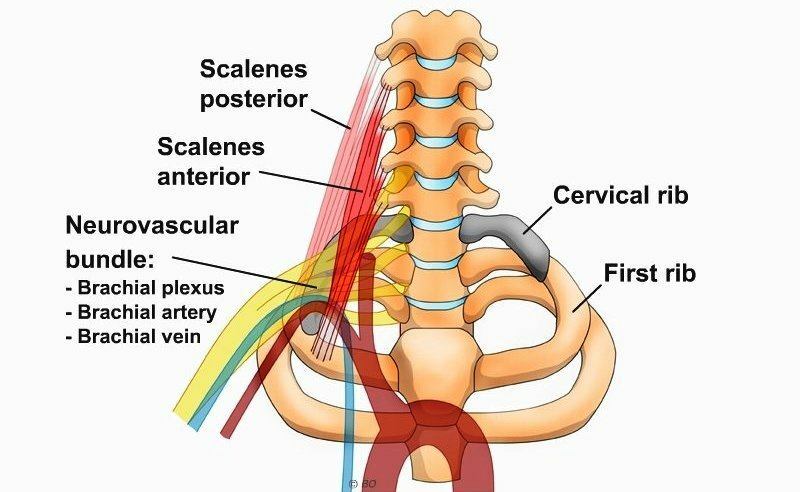 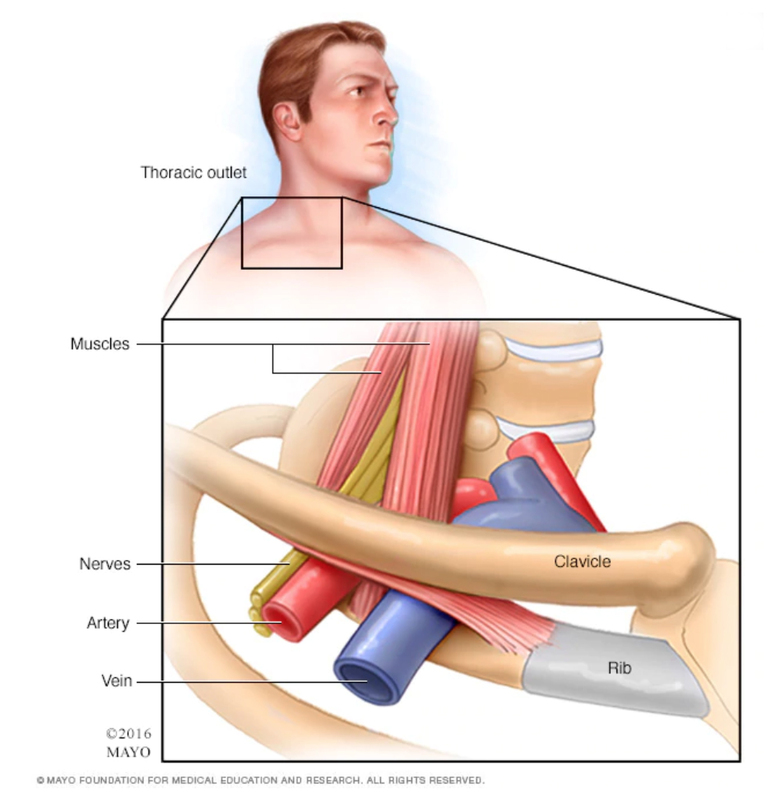 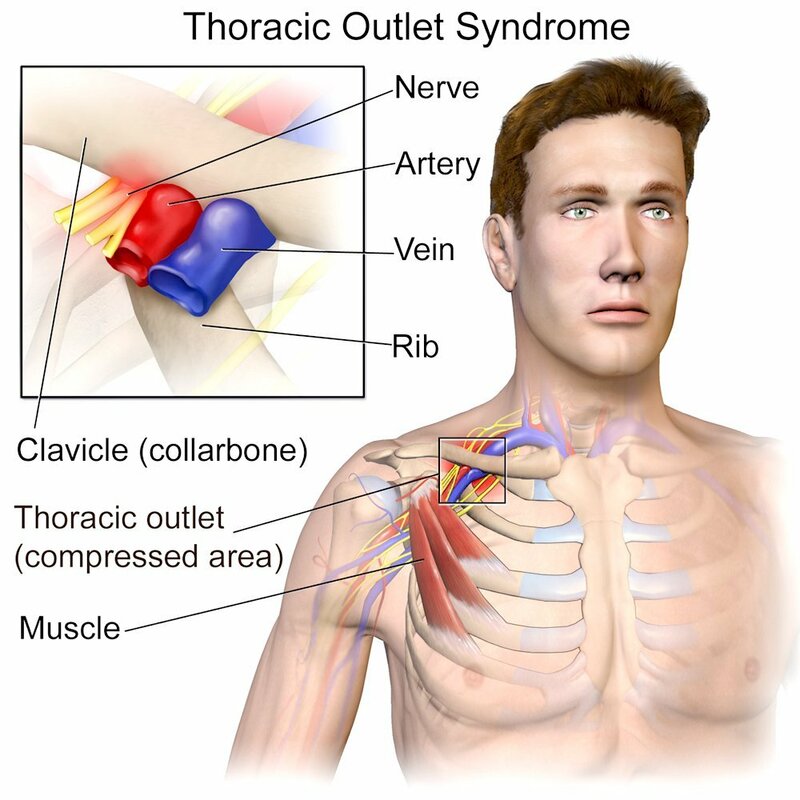 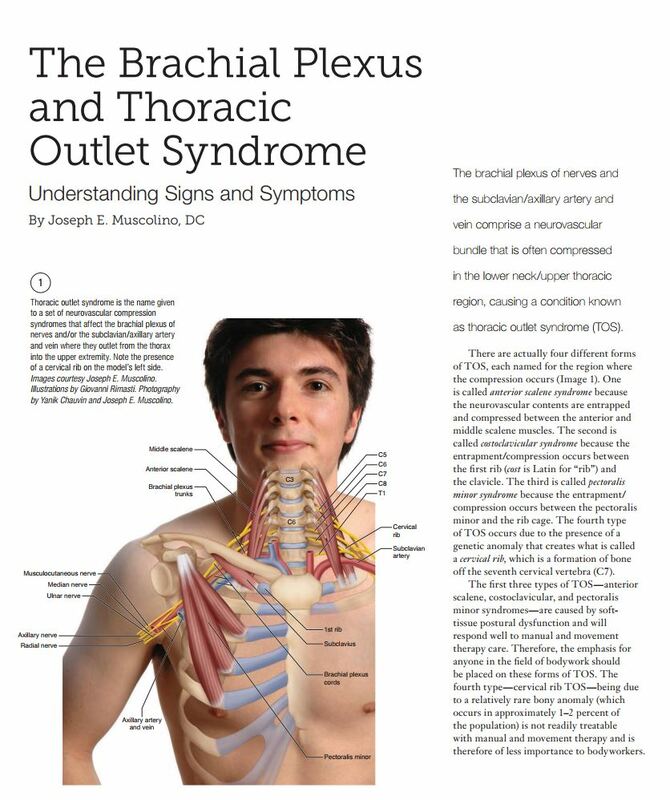 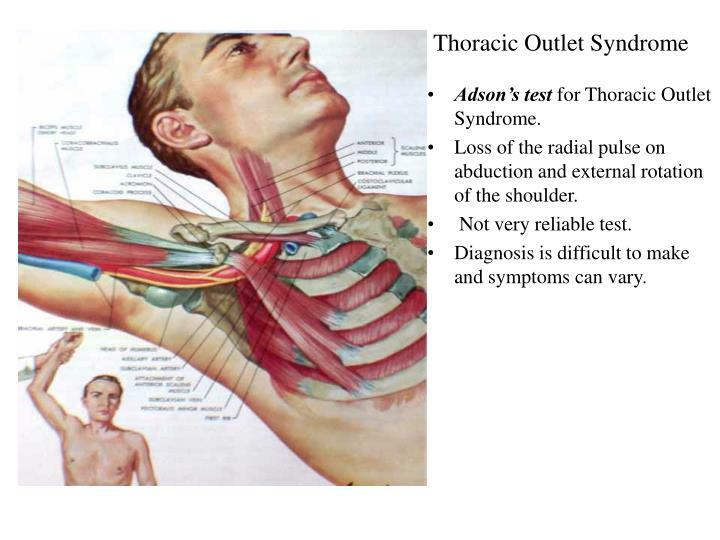 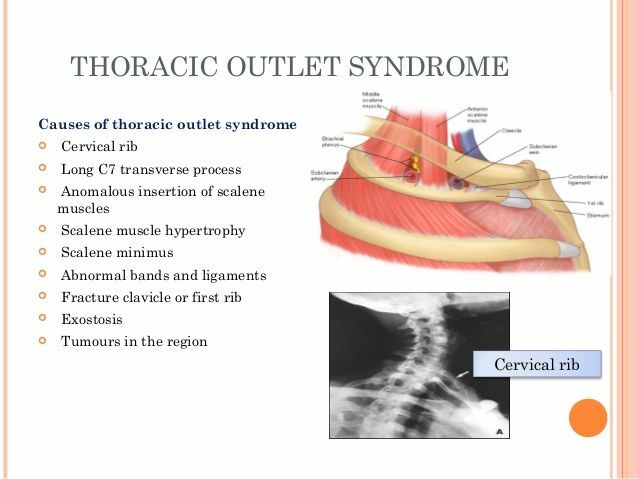 Thoracic outlet syndrome (TOS) is a condition in which there is compression of the nerves, arteries, or veins in the passageway from the lower neck to the armpit. 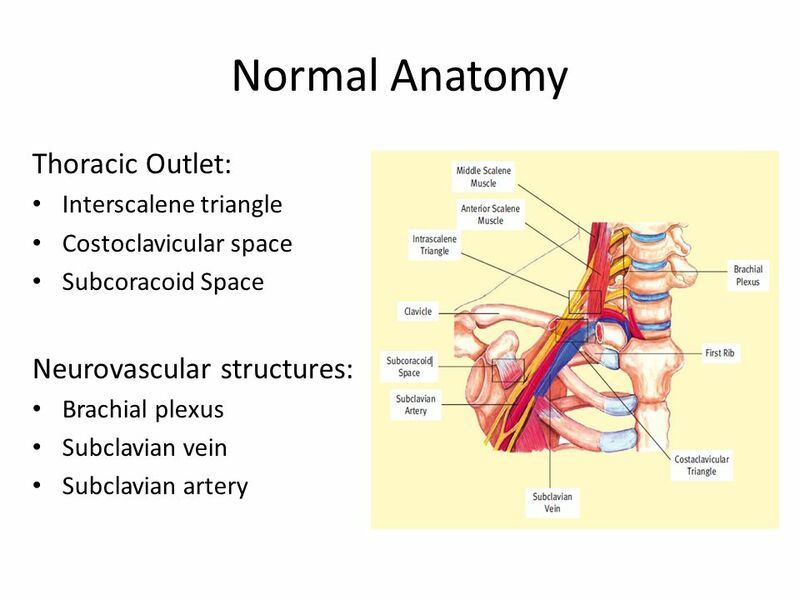 There are three main types: neurogenic, venous, and arterial. 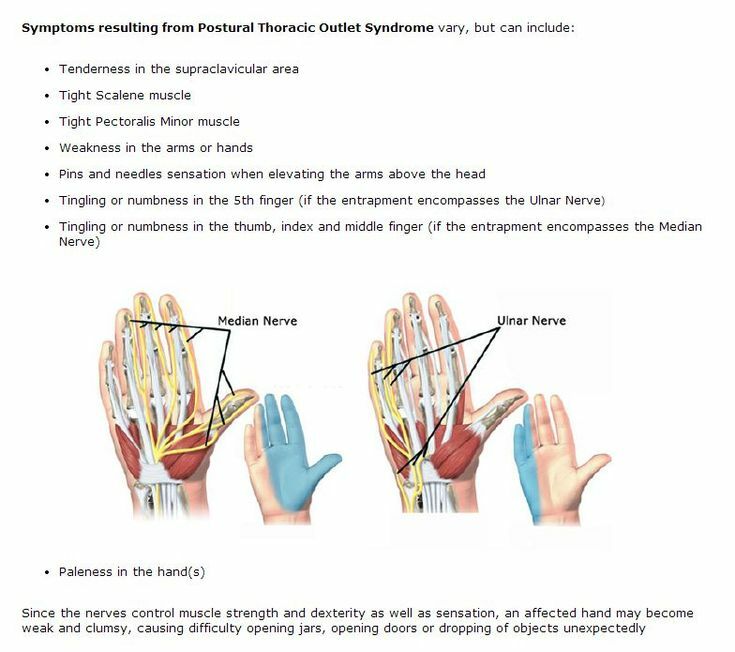 The neurogenic type is the most common and presents with pain, weakness, and occasionally loss of muscle at the base of the thumb. 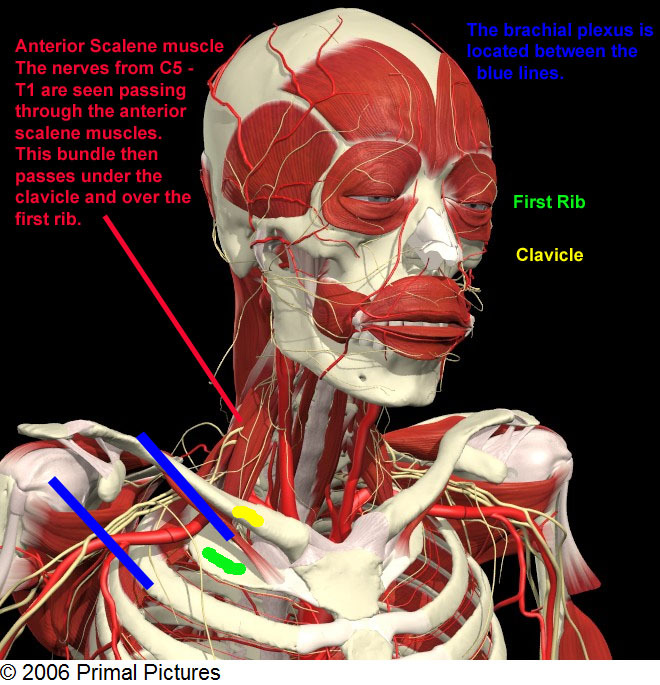 The venous type results in swelling, pain, and possibly a bluish coloration of the arm. 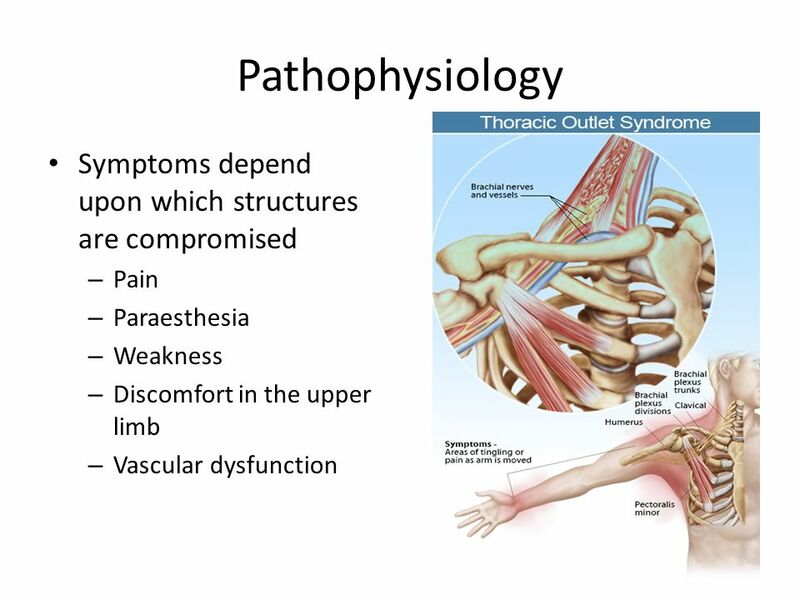 The arterial type results in pain, coldness, and paleness of the arm.